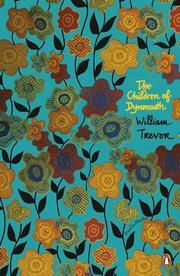 In his "unspoilt" English coastal village Trevor has planted the most insidious of bad seeds--an adolescent of a curious, arrested innocence who focuses the ache of the castaway child he was into a terrible revenge. Fifteen-year-old Timothy chills the reader with his hungry eyes, axe-blade smile, and habit of greeting his victims with "Cheers!" --like the rasp of a killer bee. Now he needs props for a macabre act at a local talent show; and from peering in the neighbor's windows, he sets about securing them with a certain dark knowledge. An elderly homosexual's marriage is sadly altered; two children brought together by the marriage of their respective parents are devastated by hints of murder and adultery; a son's rejection of his grieving parents is revived and aired; and clergyman Featherston (whom Timothy will address only as "Mr. Feather") is brought face to face with his irrelevance in the village. Yet Mrs. Featherston accepts the need to help Timothy and looks to the future--as does Timothy, now more adept and deadlier. Trevor's quiet, morning-light prose picks up every crease on the modest configurations of predators and victims, and with agile irony pursues the "waste and destruction" within an ostensibly civil society. Another illumination from an author only recently recognized here.